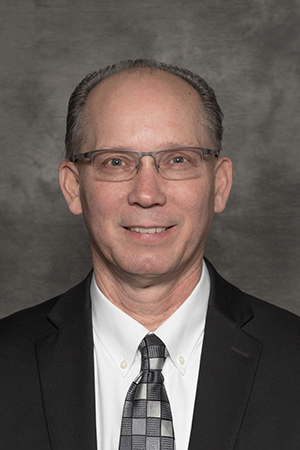 It is my pleasure to announce that the Superintendent Search Committee has completed its work and that Mr. Paul Brandt has been selected to serve as the next Superintendent of Rockford Christian Schools. Paul’s transition from Interim Superintendent to Superintendent is effective immediately. Prior to coming to Rockford Christian, Mr. Brandt worked in K-12 Christian education for nearly 40 years, serving as an administrator at Christian schools in New York, Illinois, Arizona, Nevada, and the country of Ghana, West Africa. He also served as a school consultant for more than a decade. Paul and his wife Susan moved from Las Vegas to Rockford just before the start of the academic year to assume the interim role. The Superintendent Search Committee worked with JobfitMatters, an executive search firm, to conduct a national search. Our search firm shared the announcement with their network of more than 8100 individuals and advertised the opening through various print and on-line venues. We were pleased to receive more than 45 applications for this attractive position. Our consultants spent significant time with six semi-finalists, four of whom traveled to Rockford to meet with the Search Committee and members of the Board of Directors. At the end of those meetings, the Search Committee unanimously recommended to the Board of Directors that we offer the position to Paul. The Board unanimously affirmed this recommendation. Mr. Brandt has served us admirably as Interim Superintendent. If you’ve had a chance to interact with him, you know firsthand how his gentle demeanor, deep faith, and strong education background guide his work. He is a caring and gifted leader who brings out the best of the people around him. To all who prayed for the search, we are most grateful and please know that we felt those prayers and God’s presence throughout the search process. To the more than 400 individuals who completed the survey at the beginning of the search process, thank you. Your feedback helped to shape the profile of our ideal candidate and I believe that we found him in Paul Brandt.